The 2018 Nova Scotia Police Curling Association Championships swept into Digby with all funds raised through the tournament going towards Tourette Canada and Rally Point Retreat. Rally Point Retreat is mentioned in this Annapolis County Spectator article about Operational Stress Injury Social Support (OSISS). Rally Point Retreat is expanding! It is with great anticipation and excitement that we announce the acquisition of the adjacent parcel of land, adding 202 acres to RALLY POINT RETREAT!! 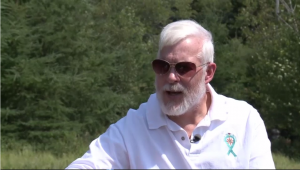 In the coming months, input will be needed to formulate a plan(s) to raise funds and draw up construction initiatives to develop the land for tiny homes/cabins for the homeless under our established list of those with PTSD (Military, RCMP, First Responders, Fire, Police, Corrections Officers, Emergency room Nurses and Doctors, 911 Operators and Journalists). The current 118 acres will still be utilized for cabins for guests of RPR. These are exciting times in the evolution of RPR, with more and more people talking about it, and to us about the future. 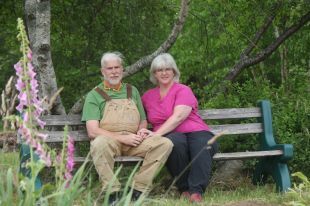 Very nice article in the Shelburne County Coast Guard. Sun, Nov 13: Many veterans come back from serving with PTSD and now a retreat in the Maritimes is offering them a safe place to go to help recover. Wonderful AMI episode about Rally Point Retreat. Includes powerful interviews with the owners and a client. 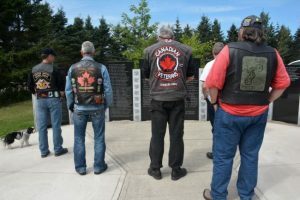 Canadian Army Veterans visit the Afghanistan Memorial during the Wharf Rat Rally.